The Vermont Bible Society operates within the Vermont Ecumenical Council. Its work is to provide Bibles without charge to ministries in Vermont that have limited resources. The Vermont Bible Society’s funding comes from the Greenleaf Fund, established by Colonel Charles Greenleaf. Requests for Bibles are made to the Vermont Ecumenical Council office at 802-434-3397 or by email to info@vecncc.org. The Bible Society does not keep a supply of Bibles on hand. 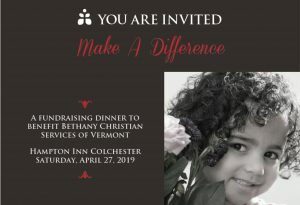 The ministry making the request provides information to the Vermont Bible Society about which Bibles it wants, and the VT Bible Society places the order with a particular publisher or bookstore, depending on which Bibles are needed. The Bibles are usually shipped directly to the ministry that requests them. The Greenleaf Fund shall be used to distribute Bibles without charge to ministries and individuals in Vermont. It may also be used to provide a Bible of choice to each newly-ordained clergy person who resides in Vermont, and to pastors being installed in their first Vermont church. The Fund will provide Bibles to any church destroyed in a catastrophe in Vermont. Any other use of the fund not consistent with this policy must be at the discretion of VEC leadership. Colonel Charles Henry Greenleaf was born on July 23, 1841 in Danville, Vermont. He moved with his parents to New Hampshire while still an infant and spent most of his life in New Hampshire and Massachusetts. Throughout his life, he carried a copy of the New Testament in his pocket and read it daily. Upon his death, he left a generous gift to both the Vermont and New Hampshire Bible Societies for the purchase and free distribution of the Holy Bible. The Vermont Bible Society has distributed Bibles throughout the State of Vermont to: prisons, hospitals, street ministries, churches, soldiers, and more.